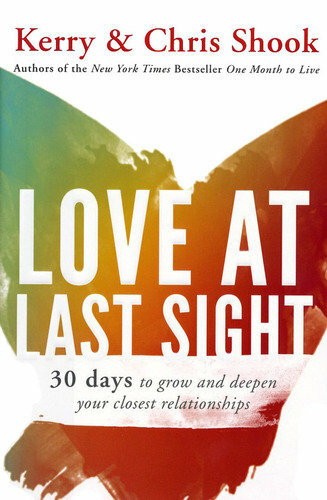 "Love At Last Sight: 30 Days to Grow and Deepen Your Closest Relationships" is a book about relationships. Simple as that. It's written to show you how to have better relationships with those closest to you... your spouse, parents, children, or even a close personal friend. It isn't just another marriage book. I had mixed feelings about this book. At times I felt as if I'd read it all already... and at other times, I felt as if it were all new to me. My conclusion? It is valuable information that you may have read in another book or two about relationships. Not much new here. BUT... what I did find interesting is the format of the book itself. At the end of each chapter, you are given a Love At Last Sight Challenge. The authors leave you with a kind of 'to-do' list to put into practice what you've just read. I think that makes a huge difference. While I may have read the information before and could say I 'knew' it, I could not say that I actually used the information and applied it to my relationships. Being challenged to do so is where the real changes begin. If you are serious about making your relationships better, this book will help you do that. But it's like a diet... you can't just read it and say it works or doesnt' work. You have to do the "do's". If you do that, I think you'll be happy with the results.